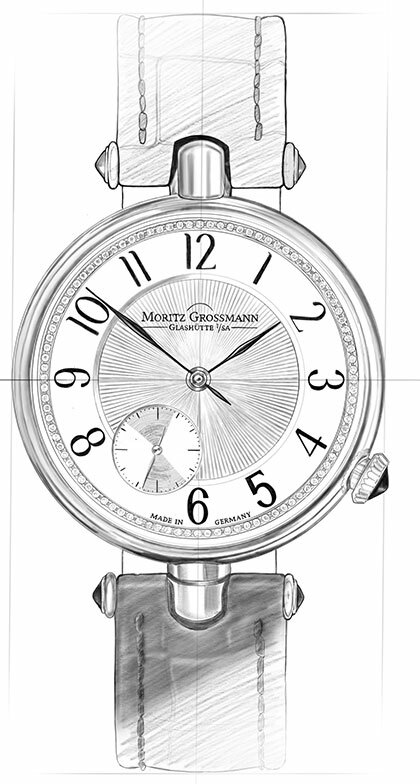 The independent Glashütte watchmaker Moritz Grossmann will celebrate its tenth anniversary in November. 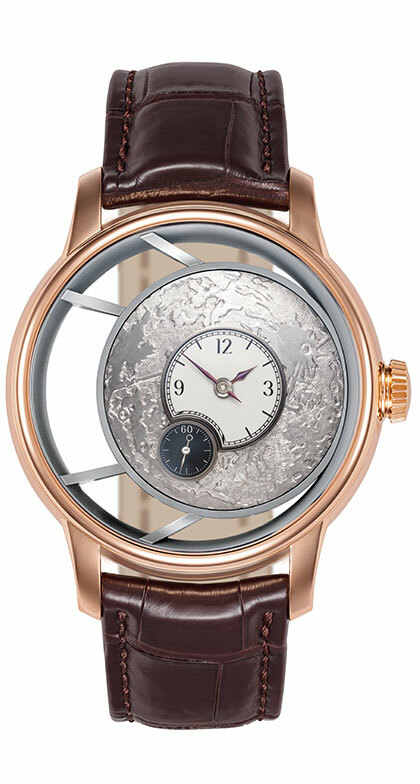 To mark this occasion, the company will present a special model in the BENU line. The BENU Blue Steel is a one-off piece and combines cool stainless steel with white grand-feu enamel. 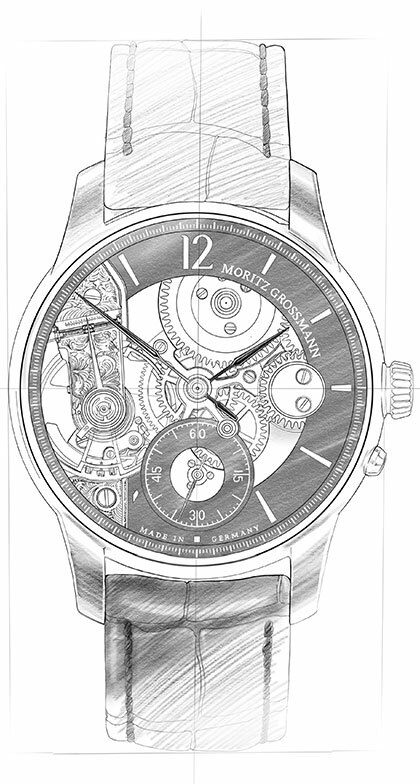 This harmonises with blue colour components on the dial and in the movement. 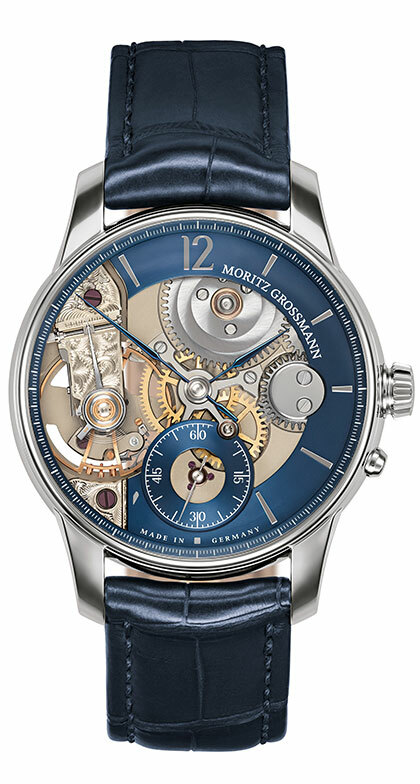 The BENU Blue Steel showcases Moritz Grossmann’s special watchmaking features and 19th-century craftsmanship. 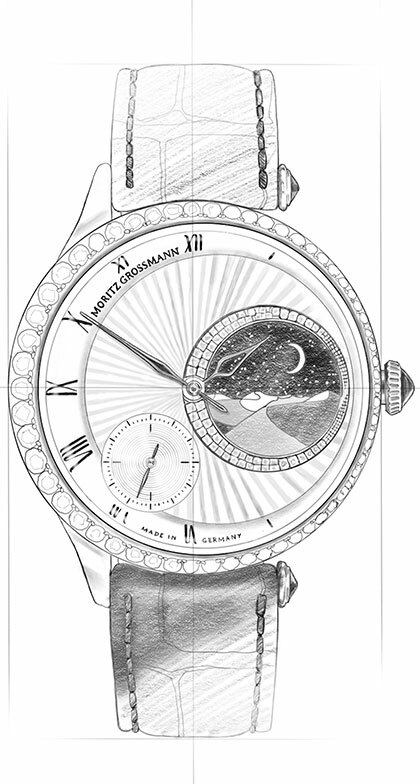 During his lifetime (1826-1885), the watchmaking pioneer produced pocket watches, pendulum clocks and measuring instruments that became famous worldwide. One of his trademarks were the very fine hands. They enabled an extremely precise reading of the time that was of great practical value, particularly with the measuring instruments. 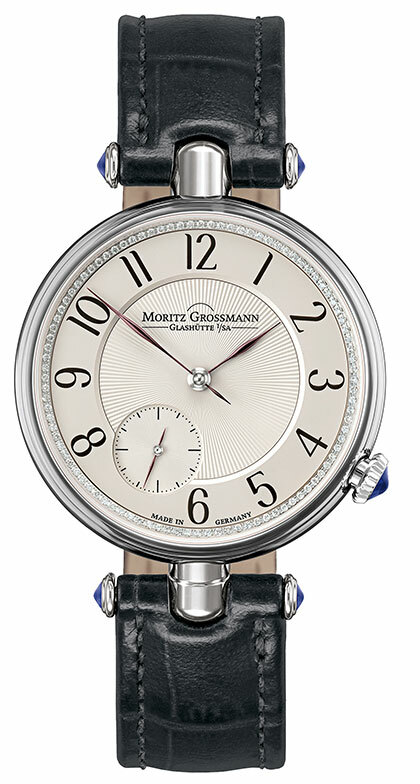 The Moritz Grossmann manufactory still employs the finest German craftsmanship in the tradition of the man who gave the company its name and combines it with modern production methods. 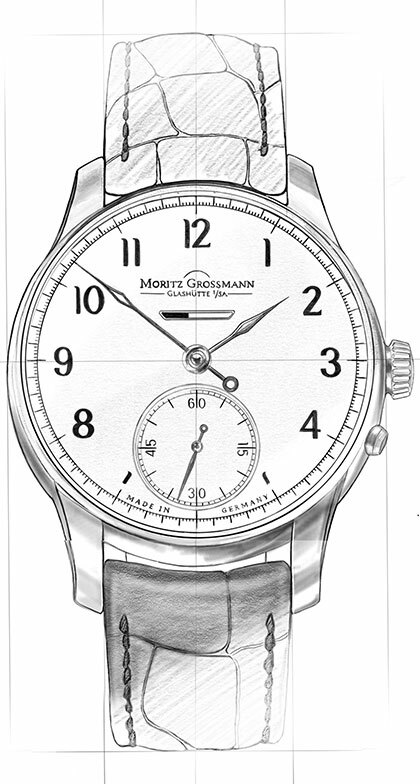 In the finissage, for example, the Grossmann hands are filed by hand, ground, polished and then annealed in colour over an open flame. On the BENU Blue Steel, the hands light up in blue. 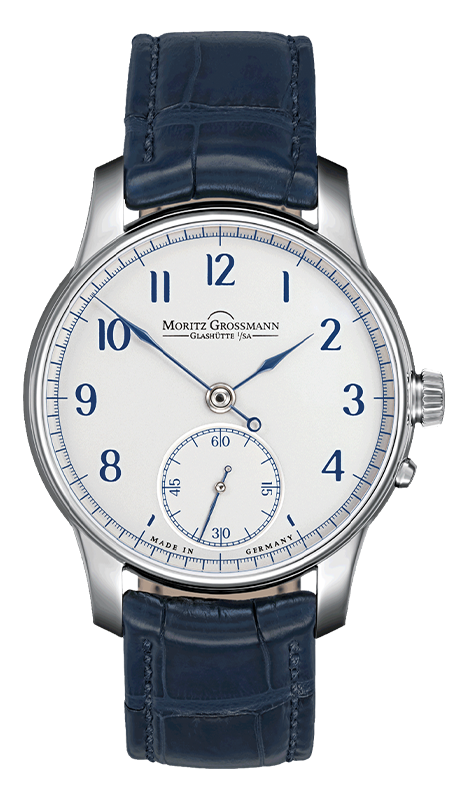 Colour-wise, they harmonise with the Arabic numerals and the minute markers, as well as with elements inside the movement: the screws, the regulating nut and the back bushing are all also annealed in blue. 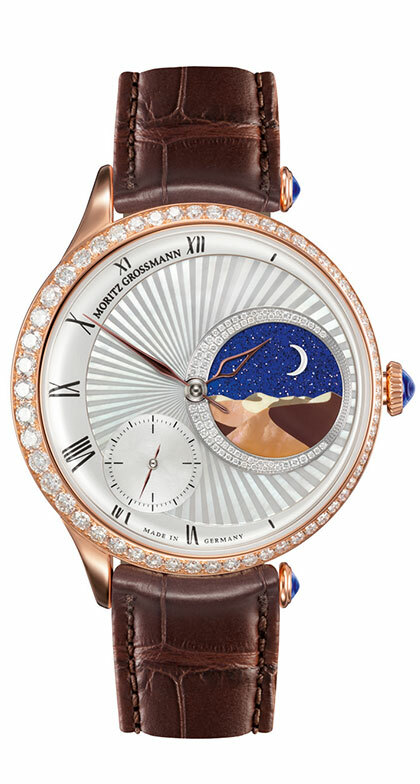 The case in cool stainless steel and the dial in rich white grand-feu enamel form a contrast to these. 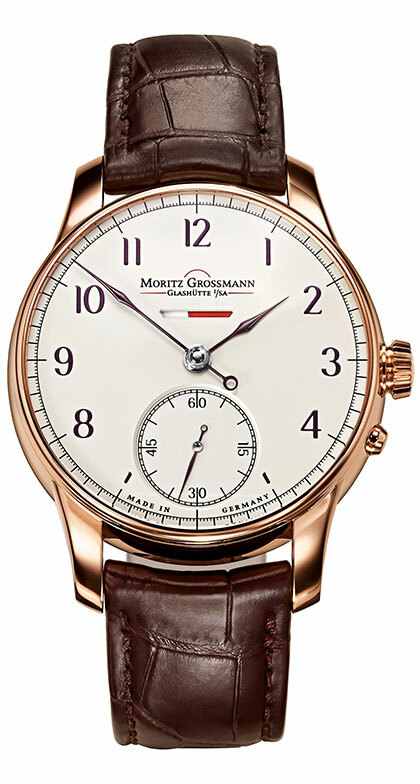 The Moritz Grossmann brand manufactures timepieces to the highest standard of craftsmanship under the slogan “Schönstes deutsches Handwerk”. 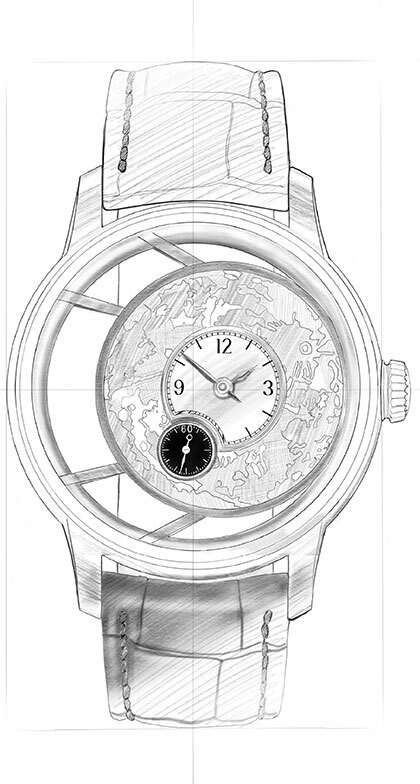 The BENU Blue Steel is offered with the calibre 100.1 in the high-artistic finish as a blue single edition 1 of 1. 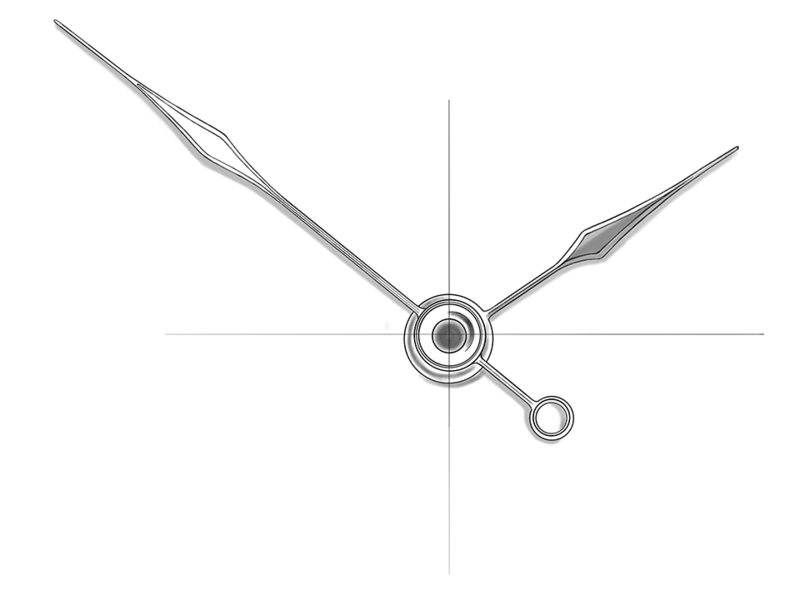 Discover everything about the heart of the BENU Blue Steel.